Todd is a member of the Real Estate Practice Group. His practice focuses on commercial real estate, including land acquisitions and sales, due diligence, financing, leasing, land use, and litigation. Steve appears before municipal and county planning boards. He also assists homebuilders with forming condominium and homeowners associations and with registering offering statements with the New Jersey Department of Community Affairs. Todd’s practice extends into representing developers in construction defect claims and transition matters with condominium and homeowners associations. Additionally, Todd has significant experience handling eminent domain matters for both condemning authorities and landowners. He has also represented property owners and taxing authorities before the New Jersey Tax Court and County Tax Boards throughout New Jersey. Prior to joining Giordano, Halleran and Ciesla, Todd served as division counsel to a national residential homebuilder. 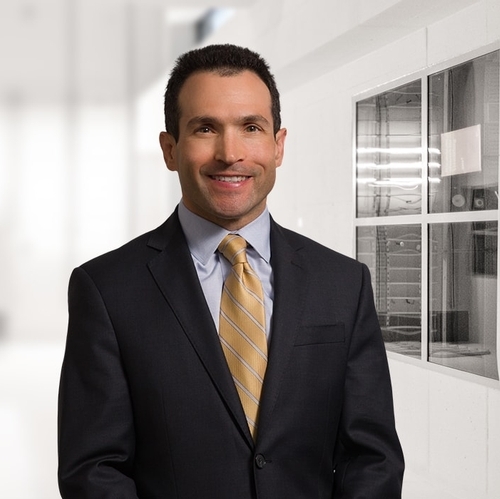 Before his in-house position, Todd practiced real estate and land use law with two renowned central New Jersey law firms. Todd served as a faculty member for CLE International. He competes in Ironman triathlons and uses his love of endurance sports to fundraise for the Challenged Athletes Foundation. He is also a volunteer wrestling coach with the Princeton Wrestling Club, of which he is also the treasurer. Additionally, he is a board member of the Princeton Chapter of the Wrestlers in Business Network.